Samsung has today announced that its Galaxy A70 smartphone will be launched in India next week, while Galaxy A80 will arrive in May. The South Korean technology giant has also revealed the price of smartphones in India. The company is targetting $4 billion (approximately Rs 27,700 crores) in revenue from its Galaxy A series during this year, according to a top official from the company. Samsung Galaxy A70 features a 6.7-inch Infinity U display, houses a 4,500mAh battery that has support for 25W Super-Charging fast charging technology and sports a triple rear camera setup. 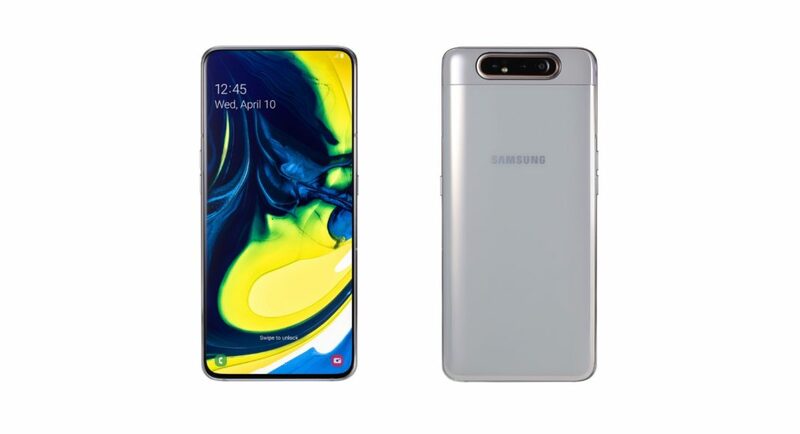 Samsung Galaxy A80, on the other hand, has a rotating triple camera setup and is the first device from the company to come with a full-screen display. Considering that Samsun is facing stiff competition from Chinese smartphone players in India, it has decided to price its Galaxy A series of smartphones in India between Rs 10,000 and Rs 50,000. Singh also added that Galaxy A series of smartphones will remain available across online as well as offline channels. The company had previously said that it would be launching at least one Galaxy A series smartphone every month from March to June this year. Update: Samsung Galaxy A70 has now launched in India. Read more about its pricing and specifications here.